Athletes need enduring protection, especially from the sun’s harmful ultraviolet rays. Sport sunscreens are among the major products designed for the job. However, not all brands have the capacity to provide that long-lasting protection. In this article, we look at the top 3 sport sunscreens that have been proven to provide premium results. Some of these models might be new. Therefore we shall provide an in-depth review of each for greater understanding. 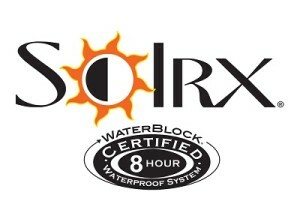 SolRx is one of the latest brands in the world of sport sunscreens. As a premium brand offering the best sport sunscreen, SolRx provides a broad spectrum (SPF 50) of protection. The sunscreen is designed to be non-greasy to eliminate any residues. Its great ultra-sheer properties make application much easier. A little bit of SolRx goes a long way in providing long-lasting protection from the harmful ultraviolet (UVA /UVB) rays. Unlike other providers of sport sunscreens, this zinc sunscreen provides 8-hours of water resistance. Additionally, it’s eco-friendly, reef safe, and suitable for use by children. This sport sunscreen from EltaMD is specially designed to suit the outdoor athlete. It is a durable sunscreen that sports 9-percent micronized zinc oxide as one of the main active ingredients. The zinc oxide sunscreen provides long-lasting protection from harmful UVA and UVB rays. The sunscreen has an SPF rating of 50 to ensure maximum sun protection. It has an 80-minute water-resistant formula that doesn’t rinse off in water or when sweating. 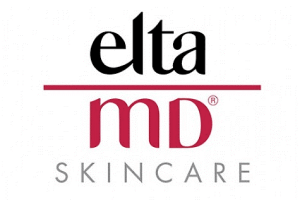 EltaMD’s sport sunscreen provides great moisturizing effect that leaves the skin supple and smooth. It’s an Eco-friendly product that has been approved safe for use even by children. Application needs to be done 30 minutes prior to sunlight exposure. Reapplication is done after every 2-3 hours to maintain protection. This sports sunscreen is designed to be applied on both wet and dry skin. 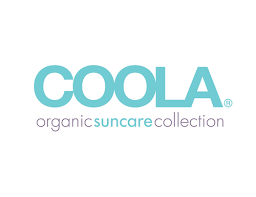 Coola Suncare‘s Classic is an eco-friendly sports sunscreen that contains 70% organic ingredients. With an SPF rating of 50, it provides ultimate protection from UV rays and functions well in repairing sun damaged skin. The result is maximum defense against aging and an even-toned skin. The sunscreen contains arnica extract that reduces inflammation. Linseed oil, Omega 3 and 6 come in handy to clam, hydrate and reduce redness. This sport sunscreen by Coola Suncare hydrates, soothes and softens the skin to provide that youthful and vibrant look. The sunscreen is hypoallergenic making it safe for use even on sensitive skin. It is devoid of any nano-sized particles and provides excellent water resistance of 80 minutes. The sunscreen needs to be applied 15 minutes prior to sunlight exposure. Reapplication is done after every two hours to ensure maximum protection. These are the top-notch models in the realm of sport sunscreens. They are effective, simple to use and have no side effects whatsoever. The sunscreens can be purchased at their specific official sites or other reliable online stores. They are definitely the product of choice for the modern-day sport enthusiasts. These sunscreens sport similar protective strength and score well in all the keys areas. Therefore regardless of the product you choose, be assured to get the best protection possible. Explore short posts that focus on various ways to improve the quality of your multi-faceted life. Whether for your career and professional life or for your relationships and social life, we cover a wide range of topics to help you actualize the fullest and most authentic version of yourself.